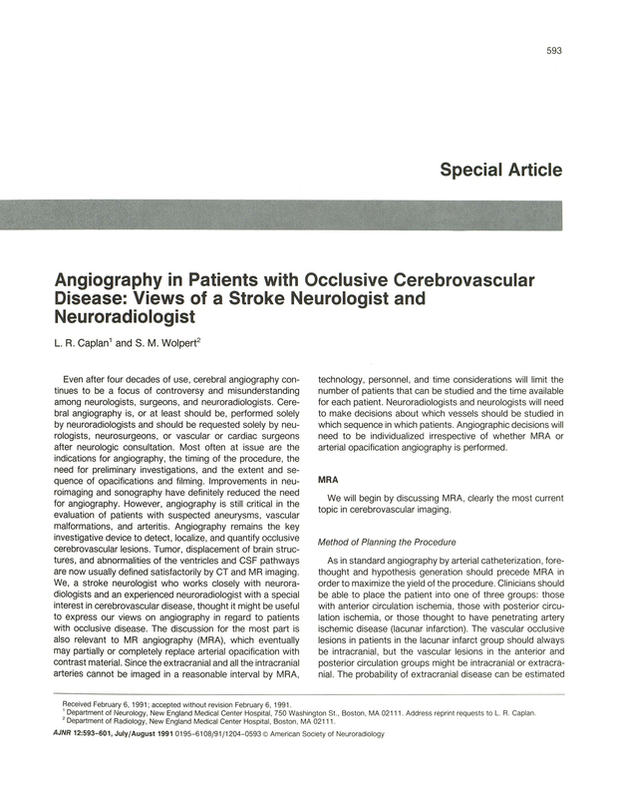 Angiography in patients with occlusive cerebrovascular disease: views of a stroke neurologist and neuroradiologist. Department of Neurology, New England Medical Center Hospital, Boston, MA 02111. You are going to email the following Angiography in patients with occlusive cerebrovascular disease: views of a stroke neurologist and neuroradiologist.